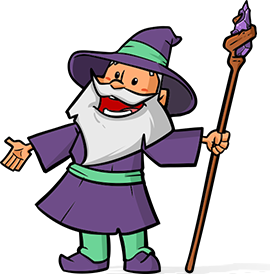 June 20, 2014: Snippet tidied up and reformatted to latest Gravity Wiz coding standards. Class has been renamed from "GWQuantityDecimal" to "GW_Quantity_Decimal". Added support for specifying a single field ID as an integer rather than requiring an array. August 27th, 2012: Can now be enabled on a per form and per field basis. Gravity Forms has some pretty comprehensive support for various pricing fields but one thing it does not provide is a weight field. So what do you do when you’re selling something by the pound? This snippet will allow you to accept decimal values in Quantity fields; converting any Quantity field into a weight field! * Allows you to accept decimal values in Quantity fields, converting any Quantity field into a weight field. Easy peasy. Just paste it into your theme’s functions.php file. Do I need to modify the snippet to work with my form? The first parameter is the $form_id for which this functionality should be enabled. The second parameter is an array of field IDs for which this functionality should be enabled. 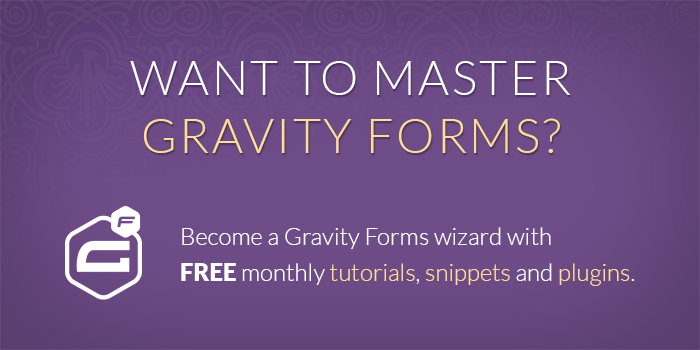 Now that your quantities can support decimal values, what else do you want to learn how to do with Gravity’s WordPress forms? This snippet is still not working. Yes, it accepts either dot or comma but doesn’t deliver the decimal form to WooCommerce order. For instance, it may show 0.5kg of order as plain 0. Then the online store owner needs to quess how much the client had ordered. I guess this is not how this should work? The prices are calculated correctly though. The online store is using Gravity Forms and products addon (woocommerce). Hi Michael, it sounds like there is a conflict with how the WC GF Product Add-ons plugin is processing the form. We don’t guarantee support for 3rd-party add-ons but if you’re already a Gravity Perks customer, submit a support request and we’ll be happy to take a closer look. I tried this solution, but nothing changed, I am still getting a validation error when decimals are entered. Do you have any tips for troubleshooting this snippet? Sorry, for some reason I didn’t get a notification of your last reply. You can delete this comment. I tried this snippet by I am still getting a validation error saying it won’t accept decimals. I am using the Stripe addon for Gravity Forms. Does this snippet depend on gravity perks? I’ll looked at those tips but I’m not getting an error, the snippet just isn’t working. Are you available to troubleshoot this further with me? I used this code on my site but when I did, it didn’t allow the paypal to go through or submit. The form accepts the decimal fine, but now it’s not accepting payment. It looks like you’re correct. There must have been a change in the PayPal add-on. I will fix this in a future version of the snippet. Thanks for this! It is great. How to use for number fields? It’s not possible to use this with Number fields currently; however, could you use a Quantity field instead of a Number field and it would work much the same way. Would it be possible to adapt this script for the European way of formatting decimals, “9.999,99”? Hey Pete, sent you an email. I’d like to see if we can’t figure out what’s going wrong. This is working for me locally and on the demo. I paste the code into function.php and got this error. Hi Karl, sent you an email requesting more details. I don’t need your Gravity Perks for it to work, do I? Sent you an email, Philipp. If you can provide me some access, I’ll take a look and see what might be going wrong. Figured it out in the end: it has something to do with HTML5 and how Bootstrap (that’s where my theme is based on) do the validation for the input field. That was causing the error message in the first place. Thanks for the kind support! The snippet has been updated to allow you to specify which form and which fields on that form this should be applied to. Do you think it is possible to allow some items on the form to be purchased by weight, and some by qty? Replace the “1” with the ID of your field.